What a gorgeous day- sun shining, gentle breeze - perfect! 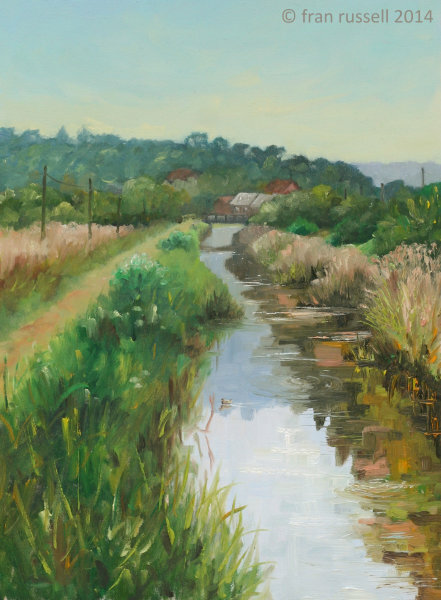 I went down to Pett Level with the intention of painting on the beach, but with tide in it just wasn't grabbing me, so I crossed back over the road, had a short stroll and stood beside the Royal Military Canal. Total bliss!